← OMG I Want This!!! 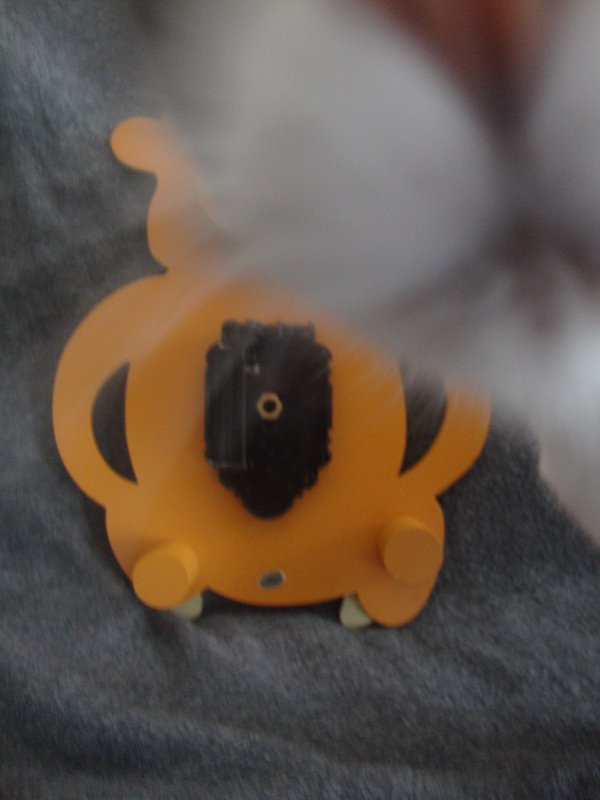 Cute clock, isn’t it? It’s perfect for BabyLiu’s room which has an unintentional jungle theme going (she’s too little to have an opinion and I like animals, so I buy what I like). 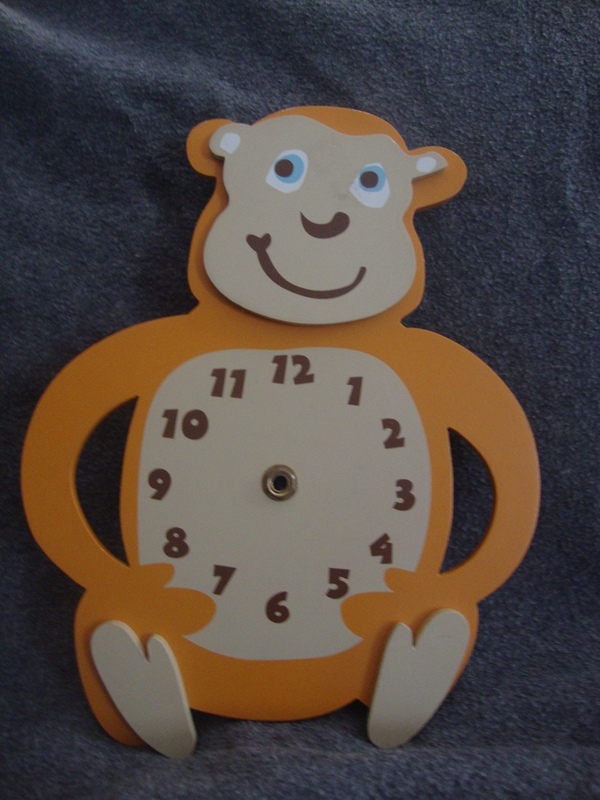 Anyway, you can see this little guy has no hands, which makes him quite useless as a clock. 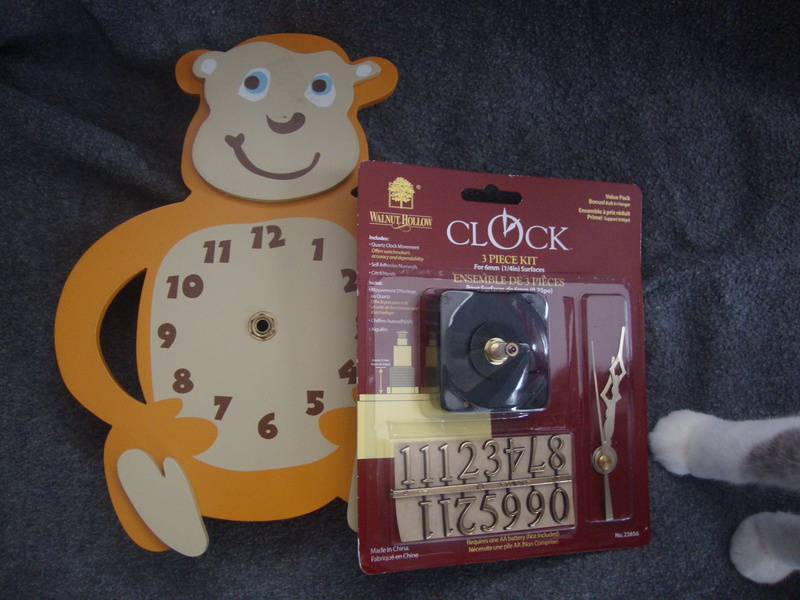 Fortunately, I had the guts to a clock at home (I was going to knit a clock at some point. I’m not sure why I didn’t). I figured it would just unscrew. Not so much. Mr. Liu thinks we can unbolt it from the front, but he’s reasonably sure it will scratch Mr Monkey to hell. 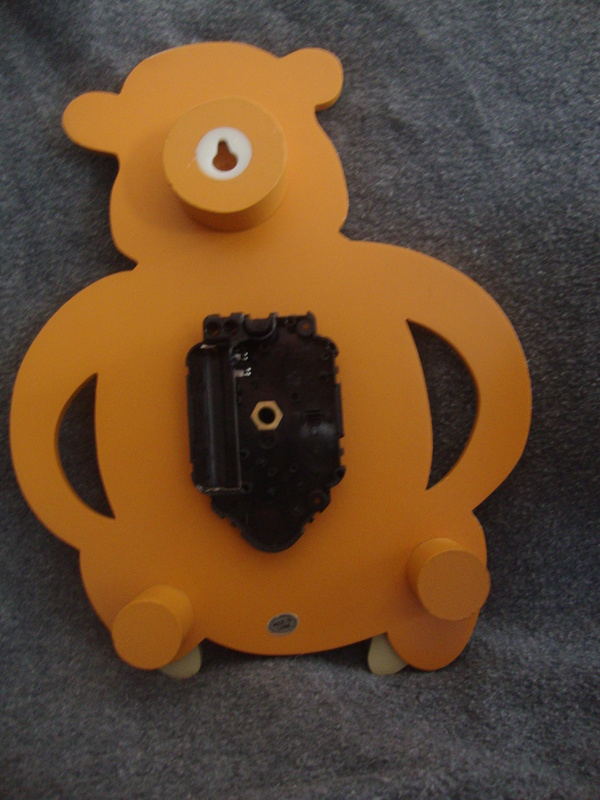 I think I can probably bust up the plastic on the back and we can unbolt it from there. And since it’s the back it doesn’t matter so much that it will get scratched up. What do you think is the best way to get the old guts off of this clock? Oh, yeah. Kali says hi.